West Safe 290 A solid and reliable inflatable dinghy is mandatory safety equipment on longer sailing trips and expeditions. The dinghy must be light enough to be handled by one man and strong enough to face sharp rocks at landings on the beaches. Our choice fell on a West Box 290, (2.90 m long, 1,52 m wide, weighing 46 kg and certified for 4 persons). West System. WEST Safe is a strong, reliable and very good inflatable PVC dinghy. It has three separate air chamber and floats although it should go hole in one. Asphotos show, the dinghy is produced in red PVC. It’sno drawback that the price is relatively affordable. A four stroke Mercury outboard motor of 4.5 kw (HP) will be responsible for the propulsion. The engine has integral fuel tank, but also external tank for extended range. The engine weighs in excess of 25 kg. 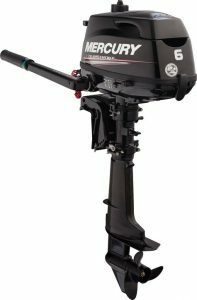 Mercury four stroke outboards are known for low fuel consumption, high reliability and easy to start.